Dyed (resist, or tie-dyed ?) 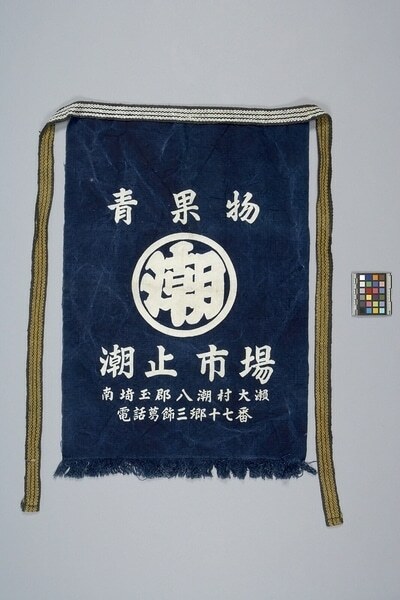 blue fabric with white Japanese characters. Blue fringe at bottom and wide woven band at top with long ties, white and black one side and yellow and black on the reverse.